WhereToFindCare.com Blog: When Do You See a Chiropractor? When Do You See a Chiropractor? Even though thousands of Americans see a chiropractor for the first time every year, there are plenty of questions out there about why and when to go to a chiropractor. Just when I have back pain? Only when I don’t want to take medications? You may not realize it, but chiropractors don’t just treat back pain. And they do indeed offer treatment that resolves pain without using drugs. Let’s look at some of the most common reasons that people become chiropractic patients—you might find out that you should join in! 1. 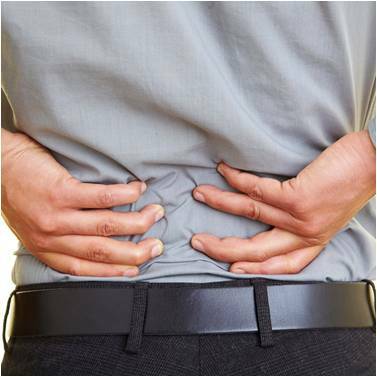 Back pain—Yes, the majority of chiropractic patients make appointments because their backs hurt. The American Chiropractic Association (ACA) claims that 31 million Americans are suffering from lower back pain at any moment. And the reason so many of these Americans turn to chiropractic instead of their primary care physicians? True Wellness Chiropractic out of Chattanooga, TN says that it’s because chiropractic offers alternatives to medications and even surgeries. Who doesn’t want to avoid a tissue-damaging surgery? 2. Neck pain—Since the neck is technically part of the spine, it’s no wonder that the second most common reason patients seek out chiropractic is for neck pain relief. Have you ever awakened with a crick in your neck (which is a muscle spasm, by the way), making movement painful? A trip to the chiropractor may reduce your healing time so that you’re able to function better in our fast-paced world. 3. Pain in an arm or leg—Patients often see chiropractors complaining of pain, numbness, or tingling in one of their extremities. What you may not realize about such sensations is that they usually originate as part of a pinched nerve in the spine. This can be true for any nerve interference—sciatica, for one. Spinal adjustments will align the vertebrae of the spine, taking pressure off nerves, as this New Jersey chiropractor explains. 4. 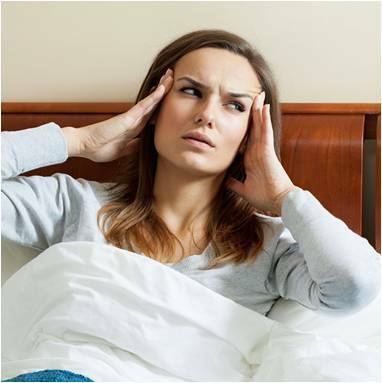 Headaches and migraines—Have you been searching for a cure for pesky tension headaches or more serious migraines? This 2005 trial proves that chiropractic can help. 123 migraine sufferers took part, and 72 percent of them experienced improvement in their symptoms after receiving chiropractic treatment. Such results are why so many chiropractic patients are headache sufferers. 5. Improved athletic performance—Are you surprised to see this one on here? Don’t be. Every NFL and NBL team has a chiropractor on staff, and not only to treat injuries. Many athletes—including Tiger Woods—seek out chiropractic to keep their range of motion fluid and to prevent injuries. This chiropractor’s journey to treating Tiger Woods shows how much athletes rely on chiropractic to keep them going. 6. Overall health—And finally, one of the most common reasons patients seek out chiropractic is their desire to stay healthy. And this makes sense when you realize that the goal of every chiropractor is to treat the whole body (not just the spine). This type of office visit is performed when you’re feeling fine, just like a checkup at the doctor. They perform x-rays and ask diagnostic questions to determine your current musculoskeletal health, then tailor their treatment according to your needs. Most patients enjoy this type of holistic approach. As you can see, chiropractic covers a range of body ailments. It’s not just for back pain, and their treatment doesn’t involve drugs or surgery. Do you have any of the common ailments we listed above—a headache or pain in your arm or leg? Perhaps chiropractic is for you after all. Have you ever seen a chiropractor? Was it for any of the reasons we’ve listed above? We want to hear about it! Just click the “Comments” link below this post and tell us about your experience. Our readers want to know, What’s it like going to a chiropractor? Help us tell them! This article was provided by guest blogger: Sally Baggett. Sally holds a master's degree in literature and has been a copy editor and blog writer since 2009. Not only does she hold a master's in literature and teach writing at the college level, she is also a busy mom to two precious little girls.